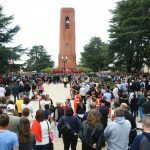 In 1915, Cl Mr H.C. Beavis, Mayor of Bathurst, suggested that a memorial of some kind should be constructed in Bathurst to honour the many local & district lives that had been lost at Gallipoli durung the First World War. 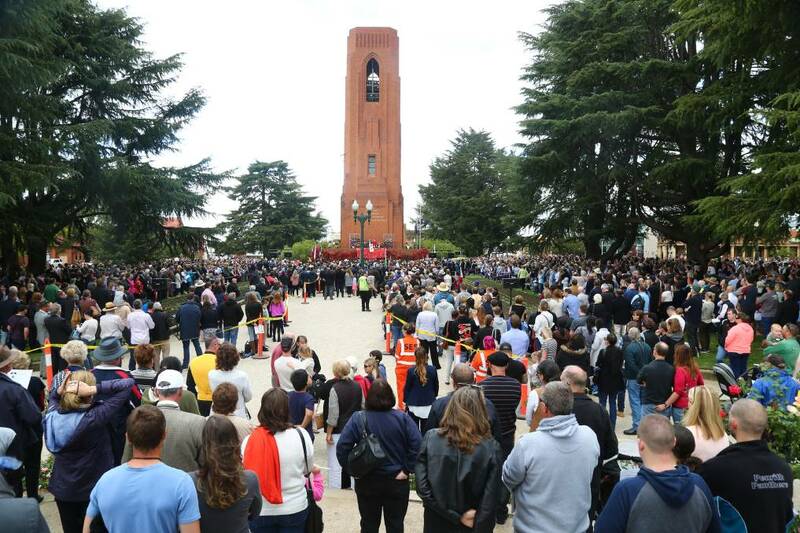 Some 13 years later, the Bathurst War Memorial Carillon was opened and dedicated following a significant and lengthy community fundraising campaign to build the memorial. 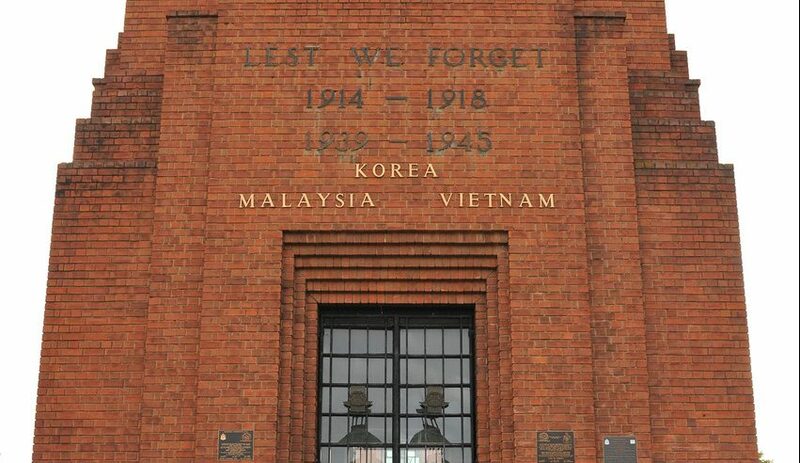 The official opening took place on Armistice Day 11 November 1933. 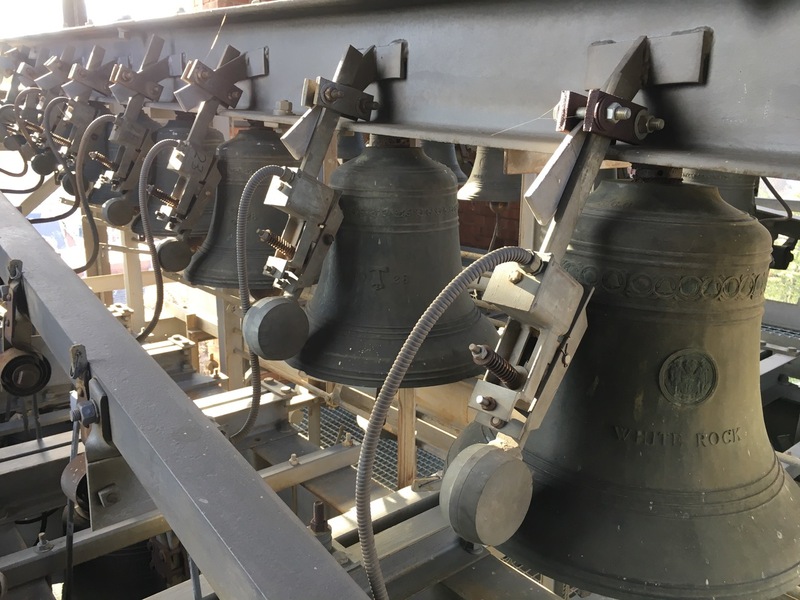 Funding to build the carillon was raised wholely by the local citizens of Bathurst and the surrounding villages, and constructed under the care and control of a committee. The cost of the construction work was in excess of 8000 pounds. 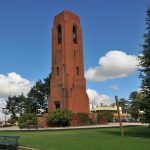 The Bathurst Carillon is not a carillon in the true sense, but a bell tower that is approximately 30 meters in height, made from local red brick and houses a bell frame consisting of 35 harmonically tuned bronze bells. With the exception of three of the bells, each bell is inscribed with the names of the various villages and towns of the Bathurst Region. The third bell carries the Red Cross Emblem in honour of the War Nurses. 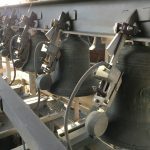 The Bathurst War Memorial Carillon is operated today by electronic electromagnetic hammers, which play the Westminster chimes and programmed melodies. The clock tower can also be played live via the connection of a midi keyboard. 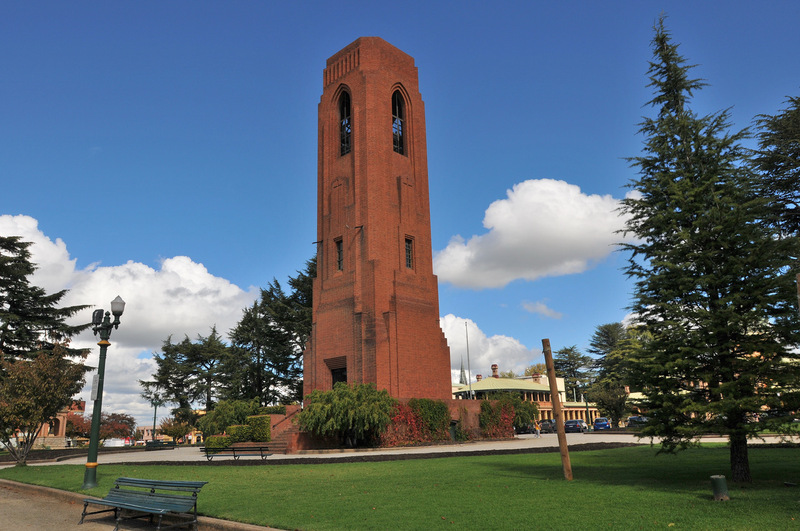 The Bathurst War Memorial Carillon is a dedicated war memorial foremost, housing an eternal flame on the ground floor. 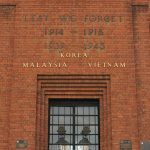 In later years, it has been updated to include the dates of World War II (1939-1945) and the conflicts in Korea, Malaysia and Vietnam. In 2017, the monument was updated again by the addition, to the George Street Face of the tower, of the post-Vietnam conflicts : Gulf War, East Timor, Iraq, Afghanistan and Peacekeeping Operations. To the ever glorious memory of our fallen comrades. Greater love has no man than this that he laid down his life for his friends.